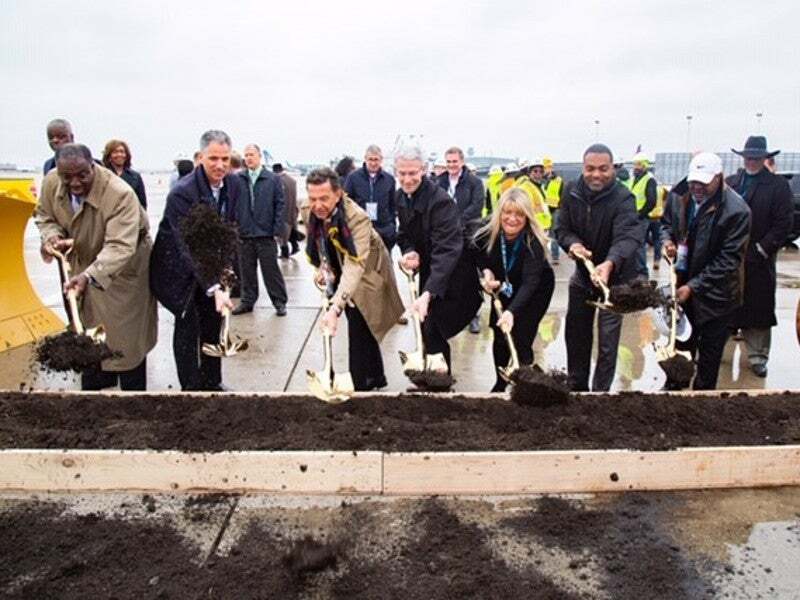 O’Hare International Airport Terminal 5 expansion project is being carried out in two phases. Credit: HOK. The groundbreaking ceremony for the project was held in March 2019. Credit: HOK. Construction of the project is scheduled for completion by the end of 2021. Credit: HOK. 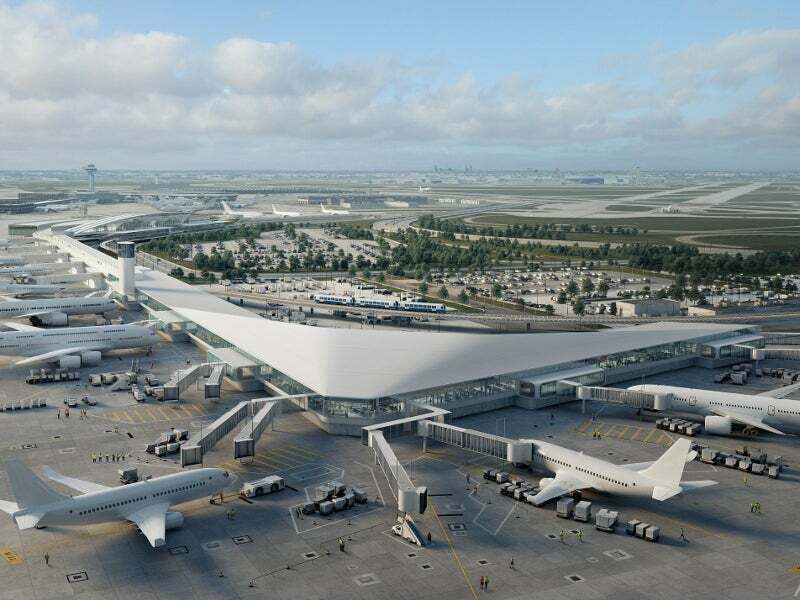 A large terminal expansion project is being undertaken by O’Hare International Airport (ORD) operator the Chicago Department of Aviation (CDA) for the modernisation of Terminal 5 at the airport. The project is part of an $8.5bn expansion programme named O’Hare 21, which aims to modernise the existing terminals at the airport. The terminal expansion project is being implemented in two phases. Phase one construction was started with the groundbreaking ceremony held in March 2019. Scheduled for completion by the end of 2021, the terminal will be opened to passengers in 2022. The project is also intended to meet the growing demand for aviation services in the region and offer an enhanced travel experience to domestic and international passengers. O’Hare International Airport is one of the major international airports in the US and the world’s sixth busiest international airport by passenger traffic in 2018. The airport witnessed passenger movements of more than 80 million in 2018, which is a 4.4% increase compared to 76.8 million in 2017. Passenger traffic at the airport is growing at a steady pace and is anticipated to increase further in the future. The expansion project being implemented at the airport will address growing demand. Most of the facilities at the airport will be revamped and expanded over the next decade under the O’Hare 21 programme. Operational since 1993, Terminal 5 is the newest among the four terminals of the airport. It will be completely overhauled with the addition of ten gates and extension of concourse M. Additionally, multiple facilities such as passenger amenities, concession areas, and airline lounges will be built. Existing structures will be expanded without hampering the original architecture and integrity of the terminal. The expansion project will increase the terminal area by more than 350,000ft² and will enable the terminal to handle both domestic and international operations. Gate capacity at the airport will be increased by more than 25%, which will enhance efficiency and reduce delays. New retail and dining areas will be set up to improve the commercial viability of the building. The expanded terminal will feature advanced technologies, refurbished interior spaces, state-of-art baggage handling systems, and a large curbside area to ease the movement of passengers between terminals. Security features of the terminal building will be improved with the installation of new security check-in points. The customs process will be streamlined in order to reduce the waiting time for passengers. Furthermore, a multi-level parking facility will be constructed to provide 1,600 additional parking spaces. Modernisation of the current airport transit system (ATS) facilitates easy movement of passengers across the airport’s infrastructure. Concourse M extension and other construction activities at the terminal will also be completed by the end of 2021 as part of the expansion. The upgrade of 25-year-old baggage handling systems will also be completed by 2022. The O’Hare International Airport Terminal 5 expansion project is being implemented with an estimated investment of $1.2bn. Airline funding for the project was formally approved in 2017. The project is also being supported by the new airline use and lease agreements. 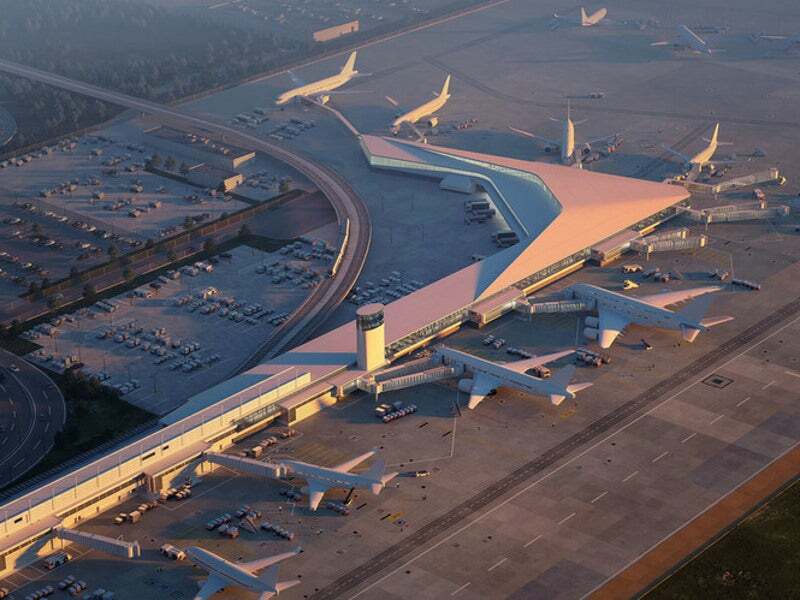 CDA contracted Muller & Muller (M2) and HOK for the design and development of the terminal expansion project. Terminal enhancements will be designed by M2 and HOK in collaboration with T.Y.Lin International. O’Hare International Airport covers an overall area of 7,200 acres. It features four passenger terminals designated Terminal 1, Terminal 2, Terminal 3, and Terminal 5. It has nine concourses and seven runways. The parking facility at the airport offers 22,594 spaces for passengers.